Plan to End Presidential Term Limits Sparks Widespread Fear in China - Integration Through Media ....! The ruling Chinese Communist Party’s plan to remove a two-term limit from the posts of president and vice president, paving the way for incumbent Xi Jinping to rule indefinitely, have provoked a surge in the number of people wanting to leave the country, amid strong opposition among the country’s more outspoken dissidents. The party said at the weekend it would place the proposals before the annual session of its rubber-stamp parliament, the National People’s Congress (NPC) next week, where political analysts say they will almost certainly be ratified. But there were other signs that the news has sent shock waves through China’s burgeoning middle classes, with a huge surge in queries relating to emigration recorded by the Chinese search engine Baidu, and overseas-linked realtors and immigration advisers reporting a sudden boost in interest since the announcement. An employee at a second immigration consultancy confirmed Chen’s account, linking a surge in inquiries to the few days since the Feb. 25 announcement. “As everyone wants to emigrate to one, or at most a handful of countries, there may be some queuing situations that arise,” the employee said. “When they have been out of the country three times, then they apply to the United States [on a tourist visa], after which they won’t leave,” Liu said. “The 1982 Constitution imposed a limit on Chinese leaders of no more than two terms in office, after the Chinese Communist Party and the entire nation had been through the huge pain and suffering of the Cultural Revolution,” Li wrote. He said the new rule had been an “epoch-making” one, and an effective legal curb on individuals becoming dictators. Li’s letter was later joined by similar statements from fellow dissidents. Jin Zhong, editor of Hong Kong’s Open Magazine and a veteran publisher of books on China, said Xi’s announcement heralded a more “extreme” era in Chinese politics. “Since Xi Jinping took power, he has become more and more politically extreme … purging and cleansing so-called reformers,” Jin told RFA. “His goal has been get to the point where he can establish himself as supreme authority, and consolidate his personal dictatorship,” he said. 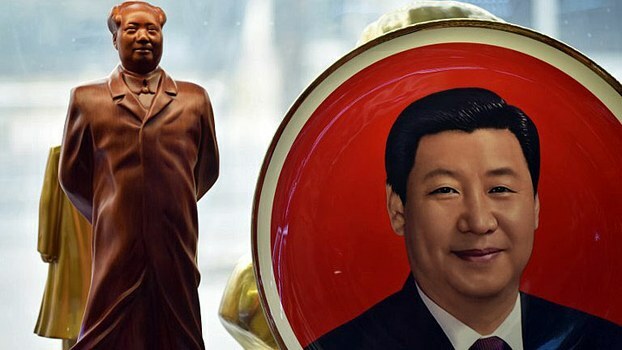 There are also concerns that a new form of anti-corruption police, a “supervisory body,” will soon enable Xi to pursue his political opponents in every walk of life, not just within party ranks. “The commission further obscures the difference between the party and the state, further integrates party and the state, to the extent that the political system is completely dominated by the party,” Xia said.